Looking for a hard copy of this photo? Please call 602-354-2140 or send an e-mail for ordering information. Please note the photo's title when ordering. Copyright 2006-2017 The Catholic Sun. All rights reserved. 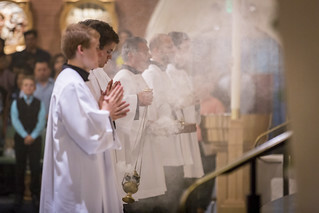 This photo and all photos on this Web site credited to The Catholic Sun are provided for personal use only and may not be published, broadcasted, transmitted or sold without the expressed consent of The Catholic Sun.